Laboratory PTFE Mixer Wheels for Magnetic Stir Bars (Lot of 10) . New Life Scientific, Inc. These mixers are new/unused out of packaging, originally acquired from a US pharmaceuticals lab. 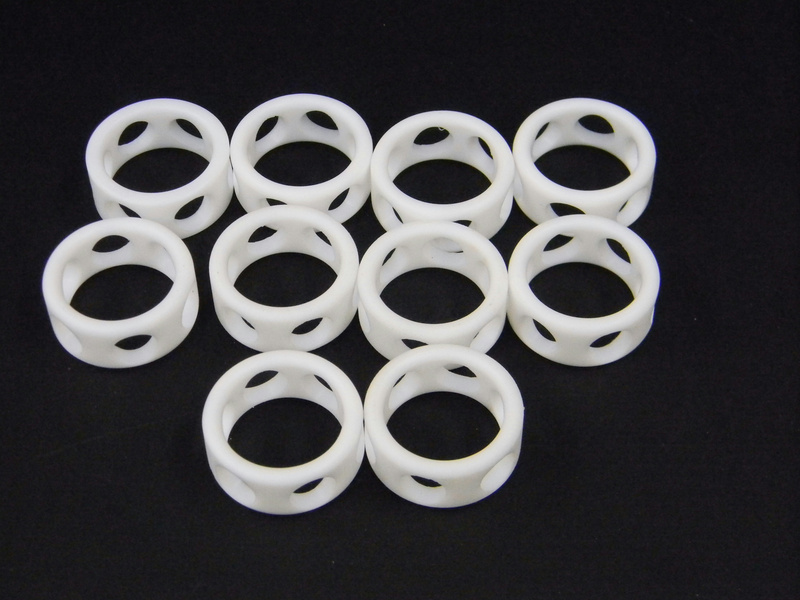 These are approximately 1 inch inner diameter with six circular openings around the edge.